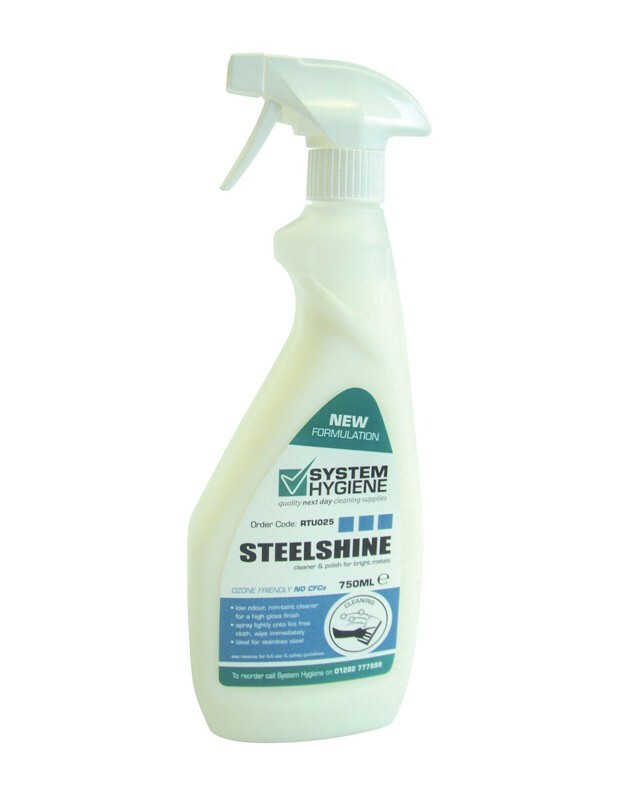 System Hygiene Steelshine Stainless Steel Cleaner and Polish is a low odour, non-tainting cleaner for bright metals, which leaves a high gloss, long lasting finish. 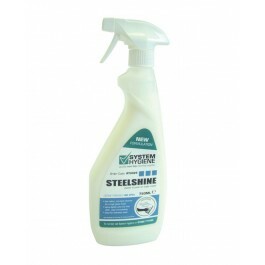 Suitable for use on stainless steel, chrome, aluminium and other hard shiny metals. Odourless formulation - no nasty smells when cleaning. Leaves metals with an amazing shine. Leaves a high gloss finish. Remove any gross contamination from the area if required. Spray the polish lightly onto a lint free cloth and then wipe clean immediately.